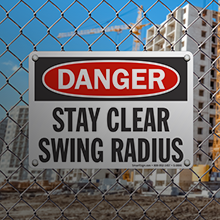 Select which safety labels you need. 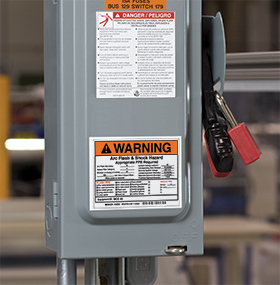 Enhance workplace safety with ANSI, OSHA, and ISO compliant safety signage, printed directly from your Brady printer. 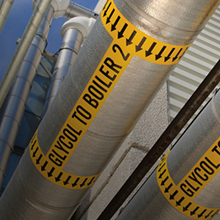 Safeguard workers and prevent injuries with NFPA 70e compliant labels providing arc flash and shock hazard risks and protective measures. 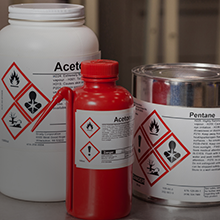 Clearly identify hazardous chemicals with globally harmonized label content, signal words, and pictograms. 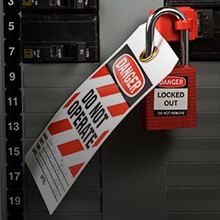 Keep employees and operators safe using a thorough lockout/tagout program with visual identification and standardized procedures for locking out energy sources during equipment service or maintenance.